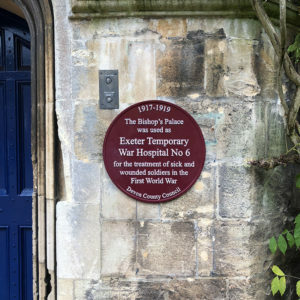 The wartime past of Exeter’s Bishop’s Palace, and the role of those who worked there, has been commemorated during a short ceremony earlier this month. Established to treat wounded servicemen returning from the front during the First World War, the Palace was one of seven temporary War Hospitals in the city. Known as “Hospital No. 6”, it was opened as a special electrical treatment centre in February 1917, and provided 100 beds. 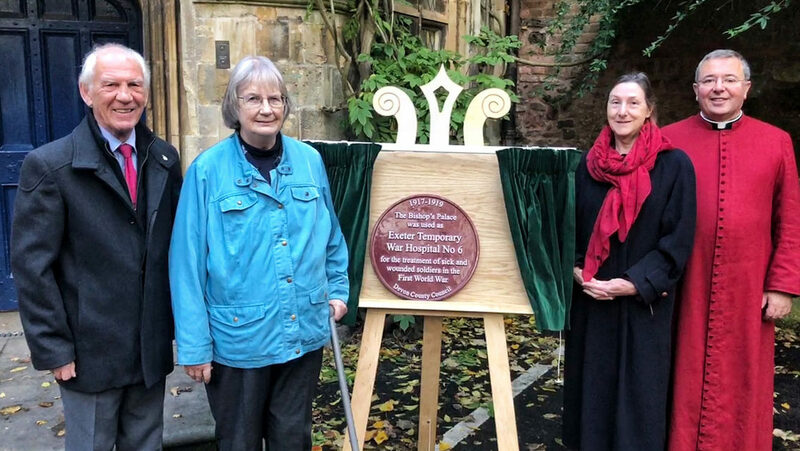 A plaque was unveiled on 13th November by relatives of staff, County Councillor Roger Croad, Chair of the Devon Remembers Project, and researchers from the Exeter War Hospitals Project. The Dean of Exeter, the Very Revd Jonathan Greener, led prayers for the work of hospital and the staff who served there, and those who suffer as a result of war today. 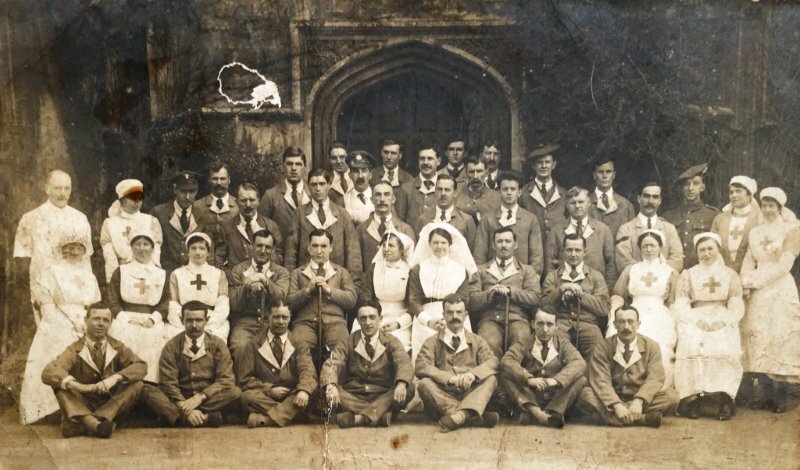 The photograph below shows patients and staff outside the entrance to the West Wing of the Bishop’s Palace (now the entrance to the Cathedral’s Library and Archive).